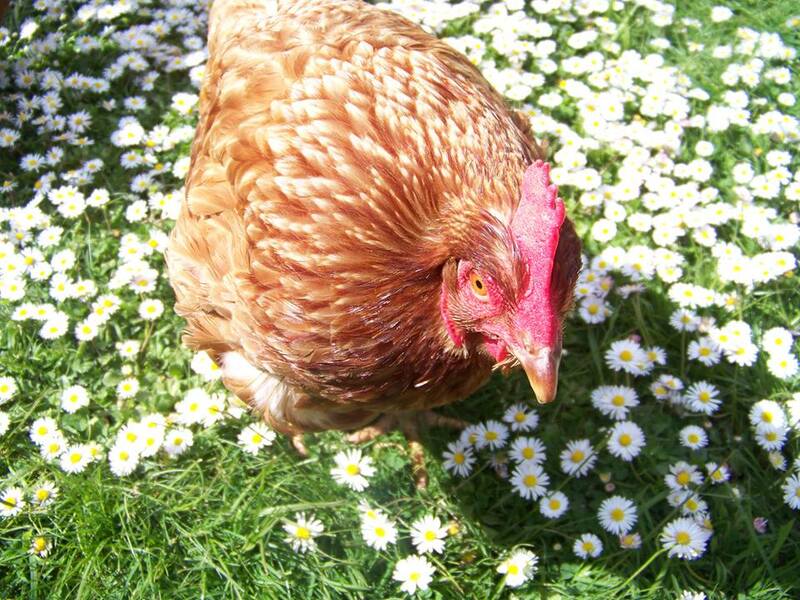 All hens are precious, exbatts are even more precious and Effie is the most precious one of all. But she will not live forever, which is why, at almost two and a half years free, every sniffle and snuffle is closely monitored and fussed over at great length. So far Effie had sailed through her moult, she had ignored the indignities of bare, featherless patches and was now sporting her Chanelesque New Look…and fabulous she looks too dahhrling. But last weekend, she started to have an upset tummy. Without embarrassing her any more than necessary, things were a bit…eruptive and watery. All necessary measures were taken and despite a certain, solidifying of things, Effie started to appear rather unwell. Whilst still eating well (she does love her food) she became lethargic, hunched and generally not herself. Even having workmen interrupting her peaceful garden did nothing to raise her interest. Investigations found nothing untoward, so a general antibiotic was administered, and I must admit, I was so worried about her, I sat with her that evening and gave her The Talk. 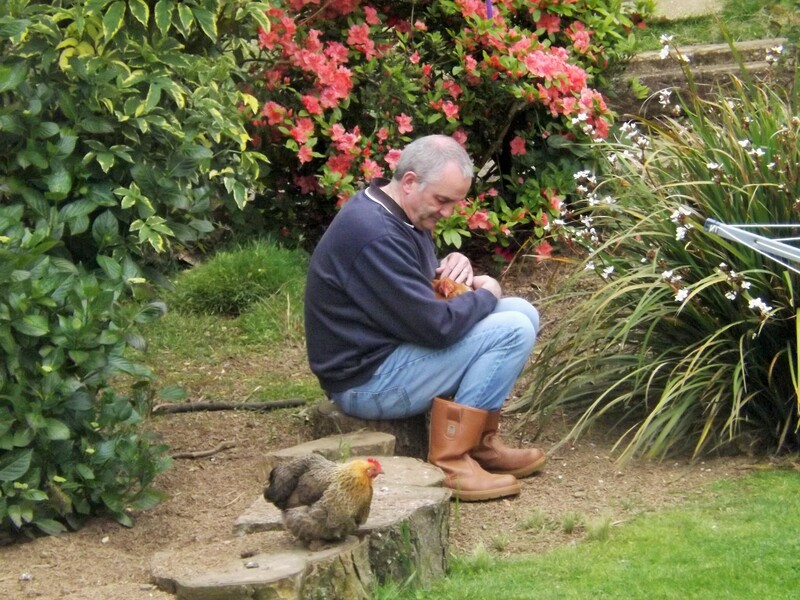 I told her everything I needed to – about how much I loved her, how blessed my life was through knowing her, how special she was and how she had changed the lives of so many chickens – just in case. 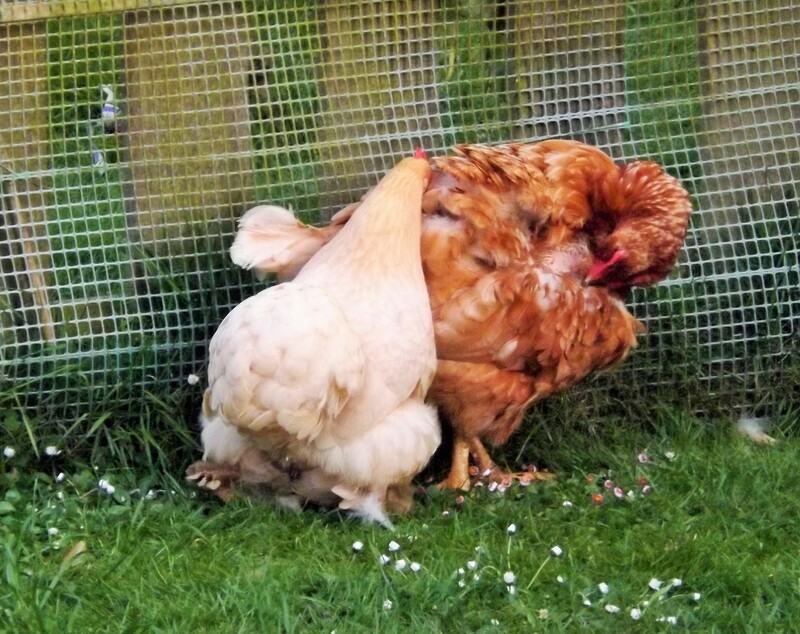 She went to bed tucked up under a fluffy bantam blanket – her babies covering their mum in love and protection. I sat up late into the night, boosted by the love and support of my wonderful chicken friends – Liz, Jan, Quolanta, Helen and Trish. Only a mad chicken lady would understand the trauma I was going through. But as I did a last late night check on her I saw above her coop, shining high in the night’s sky, the moon, Jupiter and Venus. It was almost as if the whole universe was looking after my girl. Early next morning, darling Gary, who had been kept awake all night by my fretting, kindly got up first to open the coop to see how she was. Whatever it was had been overcome and Effie was back to her normal, naughty, fun, brilliant and thoroughly gorgeous self!! 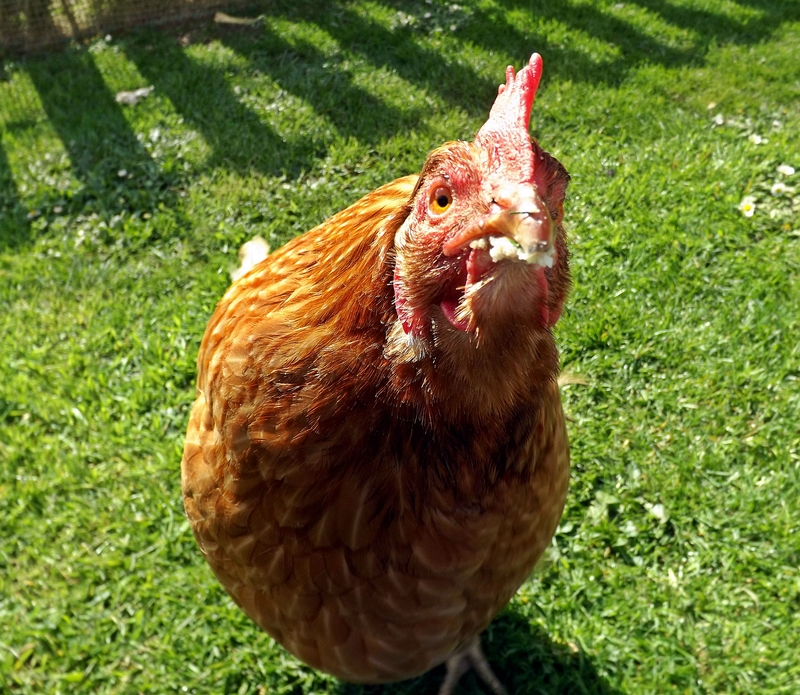 She wolfed down copious amounts of mash and spent the day shouting at the builders through her fence – they were putting in patio doors, with Effie’s unsupervised foremanship I expected to come home to a customised chicken flap in the new doors! A few days later, she is still fit as a fiddle and I cannot begin to describe how happy I am that she is well again. I love her so much, the very thought of losing her is more than I can bear. Every day with her is a gift and I am thankful for every sunrise that we share together. She has blessed my life and has left her little footprints on my heart. 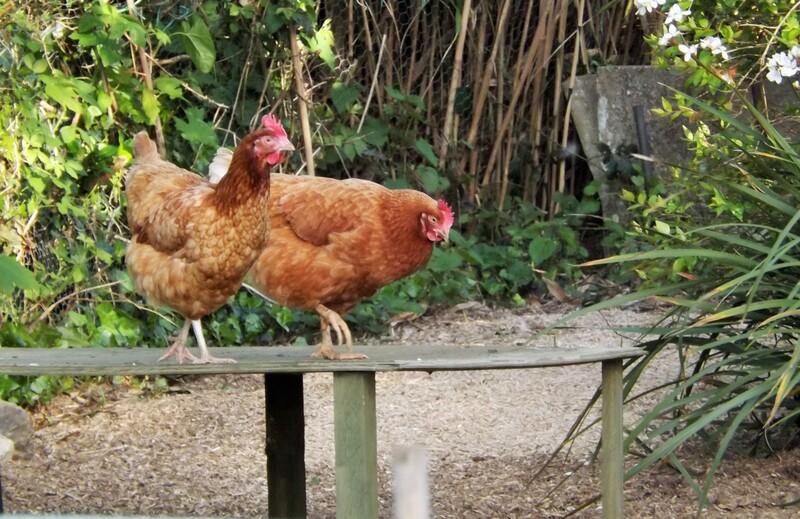 Effie has asked that this blog be dedicated to the memory of two of her friends – very special hens who passed away recently. 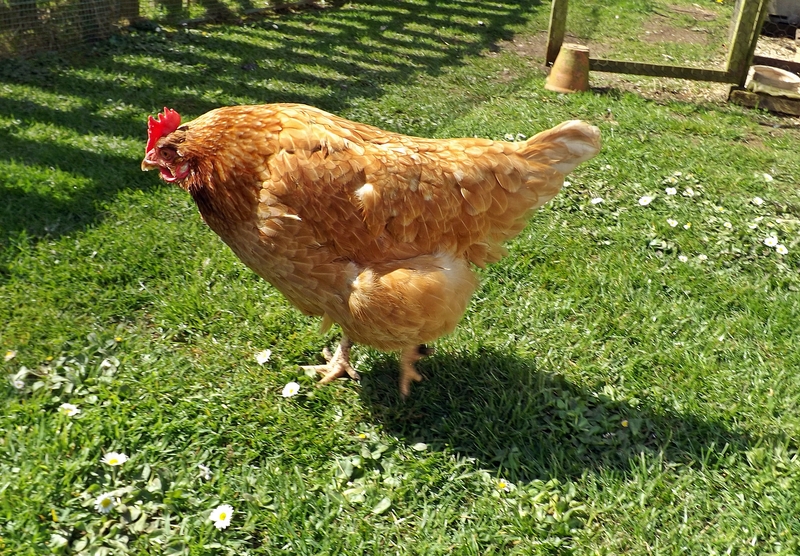 Kiev, the beautiful and dignified exbatt, head hen and all round legendary chicken who went to sleep last week, leaving her beautiful owner, Quolanta, heartbroken. 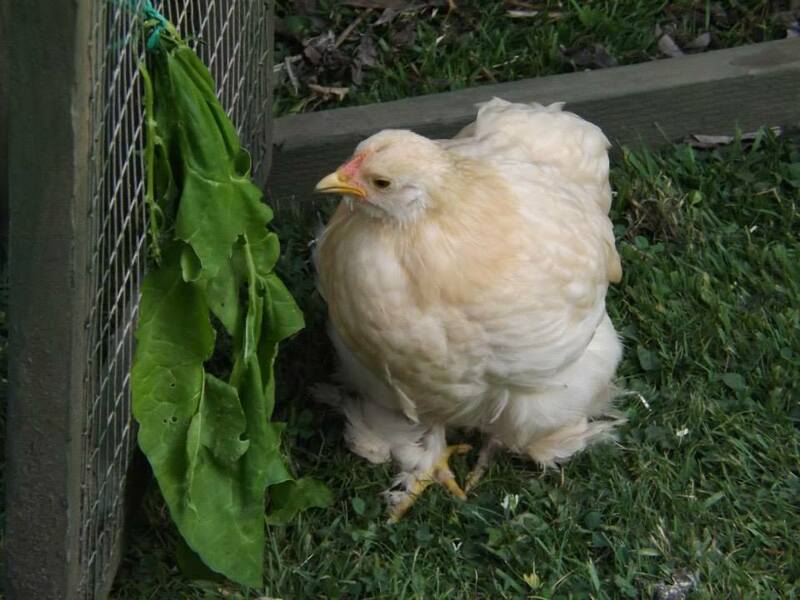 And little Rosemary bantam, who died very suddenly on Saturday. Her owners, our good friends Ann and Sarah Louise, are devastated at the loss of their little girl. Just as Miss Effie Chicken – ex-batt, big sister extraordinaire and international chicken celebrity – was settling down to the quiet life with her bantam babies, Mother Nature, in her infinite wisdom, decided that the wettest, windiest winter ever to blow through Cornwall was the perfect time for Effie to moult. Effie had been sporting this season’s latest look of sparse neck feathers and a bare crop for a few weeks but one day, a particularly strong gust of wind resulted in a flurry of feathers flying off our precious girl and every subsequent gust blew away a handful more. A few days later and little Effie was looking rather bedraggled and semi-naked. Well, what’s a girl to do?! It is no way for a superstar diva to look at all! Cornwall’s most precious chicken deserves only the very best treatment, so all the stops have been pulled out to bring Effie through her moult – she has been having sardines every other day to increase her protein levels and help her grow her new feathers, she has been having Total Moult solution in her water, she has spent the wettest and windiest days inside the human’s coop, warming herself by the fire and she has had extra soft bedding in her coop at night, with a blanket tucked over the roof to stop the wind ruffling those oh so beautiful feathers! And, of course, she has been having extra loves and gentle strokes!! And sure enough, her new quills have emerged and her gorgeous new feathers are at the delicate paintbrush stage. Like the brave girl that she is, she has barely complained and, in fact, has remained very happy and upbeat throughout the whole ordeal. 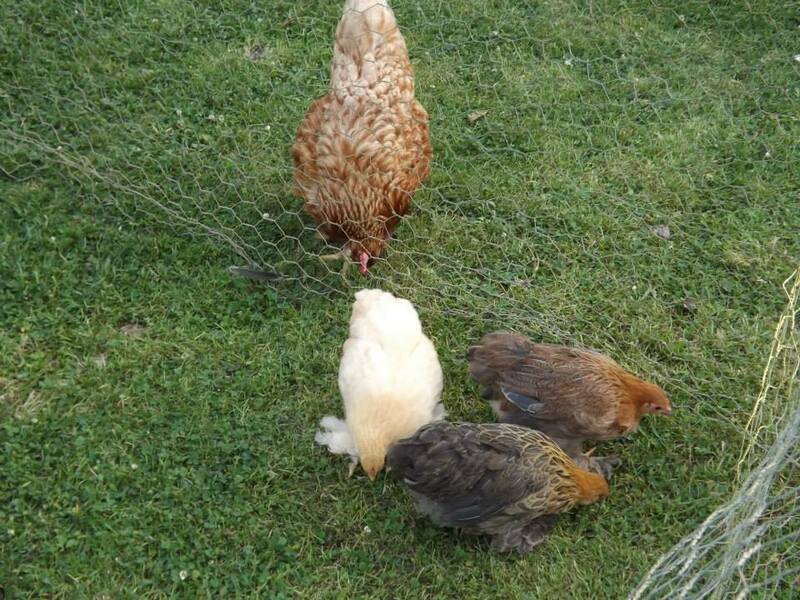 Her bantam babies have given her a new lease of life and filled her little heart with so much happiness that nothing as mundane as a moult will prevent her from enjoying every single day with them. In all seriousness, at over two years free and with the truly horrible weather we are currently enduring, I am well aware of the dangers a moult could inflict on Effie’s beautiful little body. I promised Effie I will bring her safely through her moult and I will make the same promise to all the kind hearted people who have been following her story over these past two years and who love her almost as much as we do. 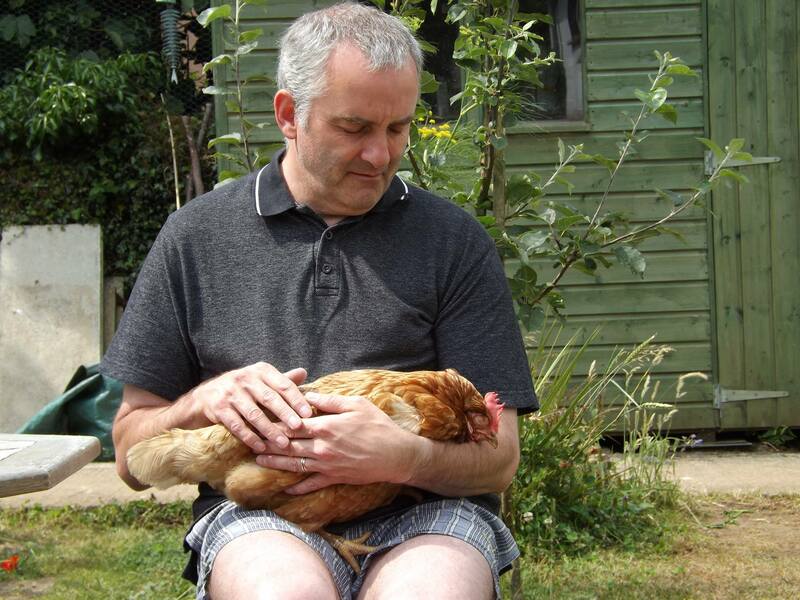 Effie is surrounded by love, and the strength of that love, combined with the best care we can possibly give her, will ensure that by the spring, Miss Effie Chicken, that most beloved of girls, will be basking in the spring sunshine, feeling its warmth on her resplendent new feathers. A joyous and momentous event occurred in the little white coop this weekend. 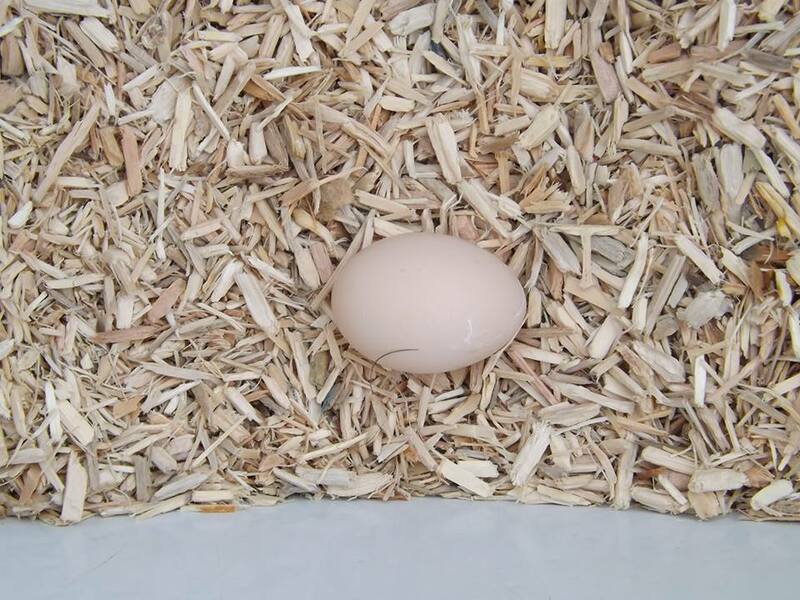 Little Inca Bantam laid her very first egg! It was Sunday morning and, having completed the daily de-pooing, I did a swift headcount to make sure everyone was present and correct before heading back to bed for my much-anticipated cup of tea and lie in. However, Inca was nowhere to be seen! Eventually I tracked her down to her nest box where she was happily snuggled down in an Eggy Laying position and she glared at me for interrupting her. Aware something amazing and exciting was probably about to happen I skulked around in the garden awaiting The Great Moment, my lie in long forgotten. After a little while, Effie, obviously having sympathy pains, had her own Eggy Feeling and toddled in to join Inca. Even after her own egg had been laid, Effie, always the good Big Sister, stayed with Inca. A first egg is a very important moment in a girl’s life and Effie was on hand to help Inca through this milestone. Suddenly, Miss Inca Grown-Up Bantam appeared from the coop and amidst much sqwarking and running around the garden, proudly announced the arrival of her First Egg! She was, quite rightly, terribly pleased with herself. And now, a few days and two more eggs later, Miss Inca Bantam is officially a Big Girl and Effie’s second-in-command. Whilst Iona and India Lemon Drop happily peck away in blissful pre-egg innocence, Miss Inca Bantam is a mature woman of the world. My baby is all grown up! Miss Inca Bantam and her little sisters! Two Humbugs and a Lemon Drop! With Effie suffering two sad losses recently, her little spirit was flagging. She was becoming very clingy, spending more and more time in the humans’ coop and she had taken to standing by the gate looking into the big girls’ garden. At night time, instead of being the top tier of a two hen pyramid, she discovered that being a one hen pyramid was a very lonely place to be. We had decided that Effie needed small hens as company. 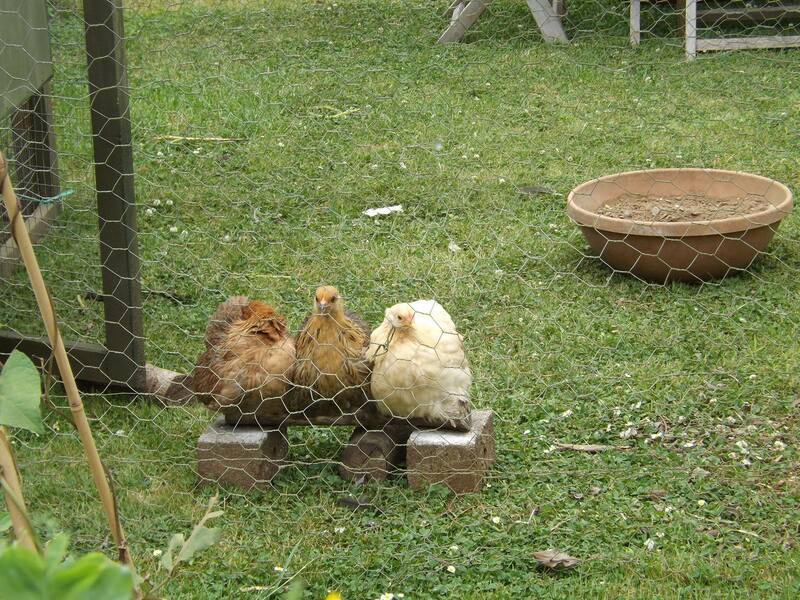 Young hens, so that she did not feel threatened or frightened. Seeing how calm she had been with little Izzy, it was certainly the right thing for her. 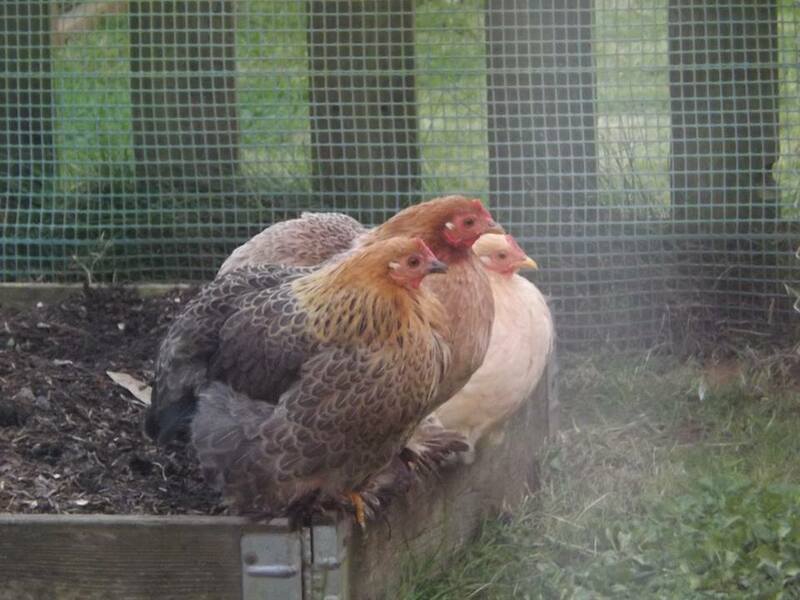 And then I heard that three little bantam chicks were ready for a new home. They had been hatched in the animal care unit at work and I had seen them at only a few hours old. My friend who had originally reserved three was unable to have them, so they were needing a home. On Friday afternoon these three bundles of mischief came to live in Effie’s Garden. 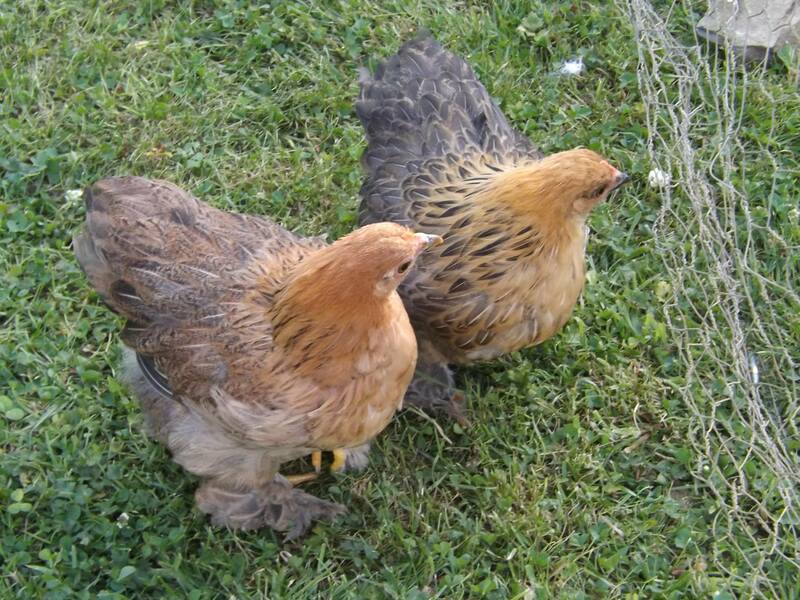 India Lemon Drop is a lemon pekin bantam and the two little humbugs are Inca and Iona, partridge pekin bantams. India Lemon Drop is the naughty one but also the girl who does not quite trust me yet, Inca is the darker of the humbugs and is brave and inquisitive and loves cuddles (well, tolerates them) and little Iona is the humbug with the reddier, more Celtic colouring. She is sweet and gentle and also tolerates my cuddles! They have their own coop and run for the moment and Gary, Effie and I spent the weekend building them a bantam-chick-proof run with a top on as we discovered very quickly that bantam chicks can easily clear a four foot fence! The cats were also quite intrigued so security was essential! In between her cuddles with Gary, Effie tried out the babies’ dustbath (it used to be hers in the ICU) and deemed it most suitable. Effie is now rather taken with her new babies, although I am not sure she knows quite what they are. When India Lemon Drop did her Houdini act over the fence, she landed right at Effie’s feet. Effie just stared (in shock no doubt!) and made no attempt to attack her. And yesterday there was even some beak cleaning going on through the fence! I am hoping that by the time these babies are big enough to meet the big wide world that is Effie’s Garden, Effie will have accepted them and she will have friends and company once more. No-one will ever replace her beloved Miss Basket in her eyes, or in ours, but our little humbugs and lemon drop may just provide the comfort our darling Effie needs.